"Be grateful with the life given to us & live it to the fullest. Cos life is short, don't regret every second of it." Putting my sweet home for SALE. Reason: moving to another home. 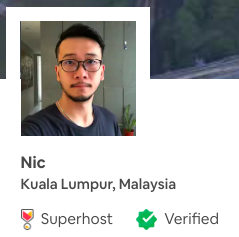 Airbnb - Does guest need to pay Security Deposit when making reservation? Answer is NO.